Unlimited heat and light for factories, offices, homes, and more! 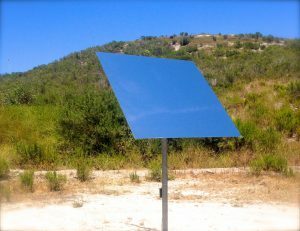 Heliostats are computer-controlled mirrors which keep the sun reflected on a target as the sun moves across the sky. The LightManufacturing H1 heliostat delivers over 1300 watts of heat to a target – or over 150,000 lumens for lighting applications. The H1 offers the lowest cost-per-reflected watt of any commercially available heliostat. Easy setup, optional wireless control. Combine multiple H1 heliostats for unlimited heating & lighting power. The H1 moves rapidly between targets – useful for sustainable manufacturing applications or residential day-lighting or building heating. 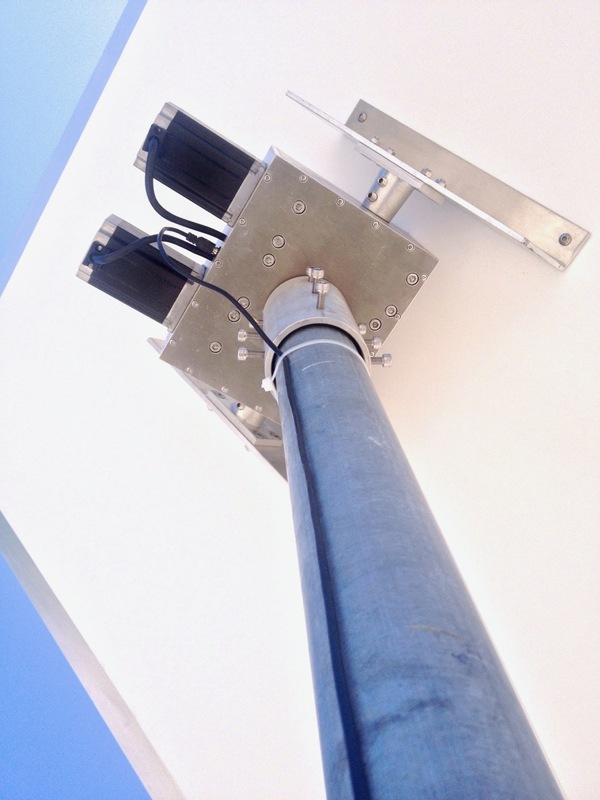 LightManufacturing’s general purpose H1 Heliostat is simple, low cost, and reliable. New option: Vacuum Adjustable 100x Concentrating Mirror The H1 joins your WiFi network, and is configured and targeted using your smart phone or web browser. No special software required! Once targeted, the on-board computer tracks the sun and keeps the reflection on-target – your phone or browser is no longer needed. A heliostat is an apparatus containing a movable or driven mirror, used to reflect sunlight in a fixed direction. As the sun moves across the sky, a heliostat makes small adjustments to the position of a mirror in order to keep reflected light on a target. The larger the mirror mounted on the heliostat, the more energy and light is delivered to the target. What can I do with a Heliostat? heat homes, offices, and other buildings – one H1 heliostat can deliver over 2000 watts of heat, with no energy bill. replace fossil fuel heat in industrial processes – for example, in our solar rotational molding systems, LightManufacturing replaces expensive, polluting gas-fired ovens with an array of silent, clean heliostats. Ask us how free solar thermal energy can transform your industry. What makes the H1 Heliostat special? The LightManufacturing H1 heliostat is an industrial-grade heliostat that combines robust performance with easy setup and operation – and at the lowest price per reflected watt of any heliostat on the market. Simply put, it costs less to heat a target with the H1 that with any other solution. What are the H1’s advanced features? 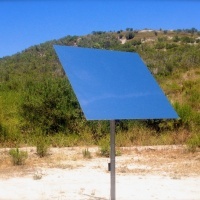 The H1 heliostat employs a unique patents pending tensioned-membrane reflector which is more reflective than the best glass mirrors, but is safe, shatterproof and much lower cost. The H1 incorporates advanced features including available wireless mesh networking remote control and configuration, integral microprocessors, and available on-board solar power systems. How much energy does the H1 heliostat capture? 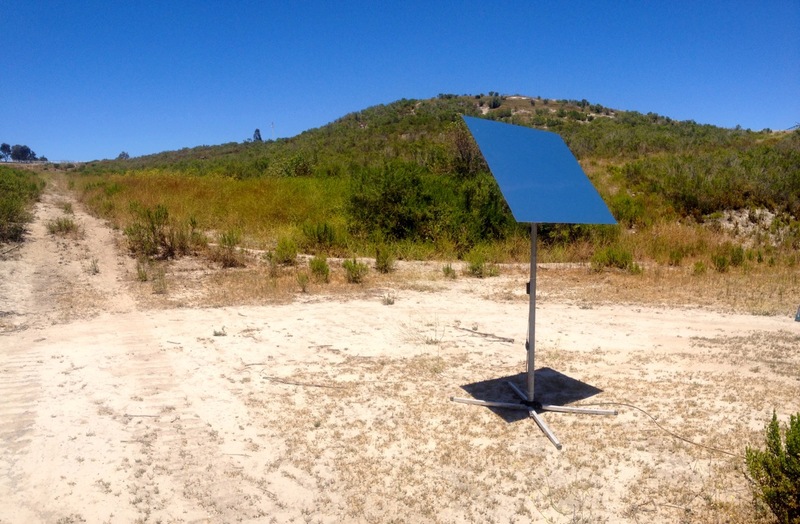 The H1 heliostat ships with a 1.21M x 1.21M (48″ square) aluminum composite reflector. The 48″ square mirror reflects over 1000 watts onto a target in optimal conditions, or over 115,000 lumens if used for lighting applications. This is the most energy/light captured by a commercially available heliostat. In contrast to the H1, some smaller / consumer-oriented heliostats offer a mirror only .5 square meters in area, reflecting @ 425 watts of energy. It would take 4 or 5 of these small units to equal one H1 heliostat. I read about a less expensive heliostat. Is H1 a better investment? The LightManufacturing H1 heliostat is a powerful commercial-grade heliostat, with a number of advantages over ‘home heliostat’ systems. The H1 heliostat uses safe, tensioned-membrane mirrors which are shatterproof and tough, not glass like other heliostats. The H1 mirrors shrug off impact. The H1 heliostat uses only aircraft-grade aluminum structural elements for maximum durability, not plastic like other heliostats. 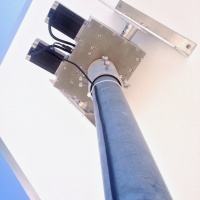 The H1 heliostat can be aimed exactly by USB or optional wireless connection, unlike other heliostats which require you to hand-aim the mirrors at a target. The H1 heliosatat can change target easily between multiple targets you define, unlike other heliostats. The H1 heliostat is MUCH larger and captures more light and heat than small ‘home heliostats’. A H1 with 5′ square mirror has a mirror area of 2.3 square meters, as compared to consumer heliostats with mirrors only 0.5 square meters. The H1 costs less per watt/lumen than any other heliostat on the market. Purchase price of the H1 may be higher, but when you calculate the cost / square meter of mirror you’ll quickly see the advantage of the H1. You can combine multiple H1 heliostats to deliver unlimited heat/light to targets you define, and you can switch all of your H1s from target to target with a single command. Do you sell to the public, or to industry only? LightManufacturing sells our heliostat products directly to the public. Click the Order tab above for pricing and details. We also offer direct purchasing to industrial clients and partners. Contact us for more information. Can I heat and light a home or office with heliostats? Yes. Heliostats are a low cost way to capture light and heat and direct it into a building through windows. 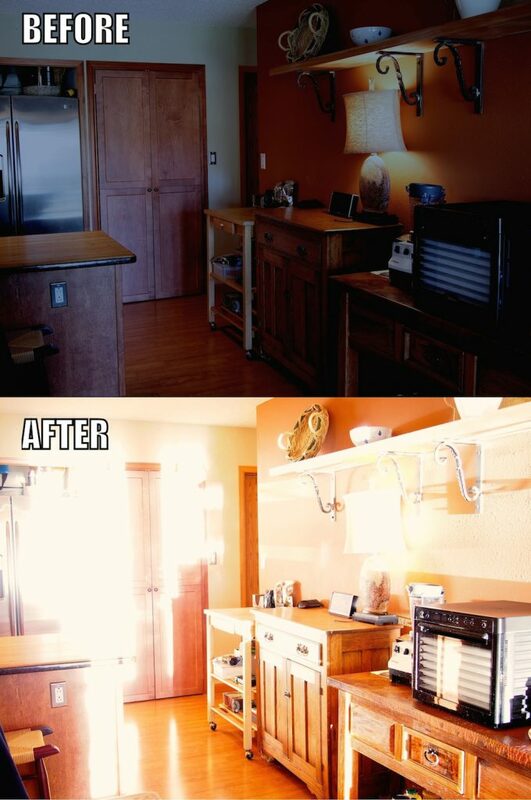 In many buildings, some rooms never get direct sunlight at all – they face the wrong way. Heliostats placed outside these cold /dark rooms can direct warmth and light into the rooms, transforming them into enjoyable, comfortable spaces. Each H1 Heliostat can deliver over 1000 watts to a room, or over 115,000 lumens of light. Multiple H1s can be combined to warm a single room faster, or you can use several H1 heliostats to warm different spaces simultaneously. Applications include schools, office buildings, homes, industrial workspaces, farm buildings, and many other architectural uses. Do you make solar furnace / solar oven systems? LightManufacturing H1 Heliostats are ideal for solar furnace, solar oven, and similar applications. Each H1 heliostat captures up to 2000 watts of solar heat, and directs it to a cooker, water heater, roasting enclosure, or other solar oven/furnace design. Multiple H1 heliostats can target the same enclosure to deliver very large amounts of heat. Depending on your application, LightManufacturing can supply ISO shipping container based sun furnace target enclosures, or you may construct your own target from locally available materials. Similar terms: sun furnace, solar furnace, solar oven, sun oven. Are your heliostats for Sale? What’s the availability? 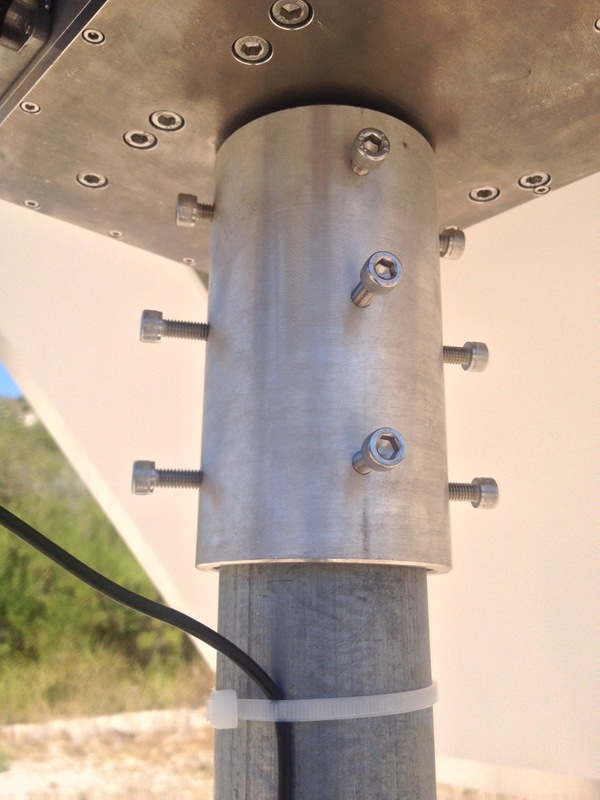 Yes, the H1 Heliostat is available for sale at our heliostat order page ( click here ). The H1 heliostat is available for sale to the general public in several configurations, and we also offer sales programs for commercial customers with volume purchasing needs. 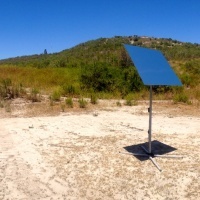 Can heliostats enhance flat plate thermal collectors? Yes – if you have a flat plate thermal collector (for example, for making hot water or hot air) the LightManufacturing H1 heliostats can help. Fixed position flat plate collectors typically do not work well in the morning or later afternoon, because they are installed in a ‘best average’ position to maximize mid-day solar absorption. This means less hot water or hot air at non-peak times. Solution: Use h1 heliostats to direct solar energy to your flat plate collector at off-peak times. Can heliostats generate LEED points for my green building project? Yes. In fact, heliostats like the LightManufacturing H1 are one of the simplest ways to add sustainable, low-cost solar heat and light to a new green building project, infill project, or retrofit. Heliostats are low cost, and supply heat and light through existing building windows. » Read more about heliostats for LEED / green building applications. Do the heliostats require a computer to operate? No. The H1 heliostat has an internal microprocessor, and no external computer is needed for regular heliostat operation. A computer IS used for initial setup – eg entering heliostat location (lat/long) time of day, time zone, etc – and for defining the heliostat ‘targets’ – where you want the light and heat from the heliostat to go. 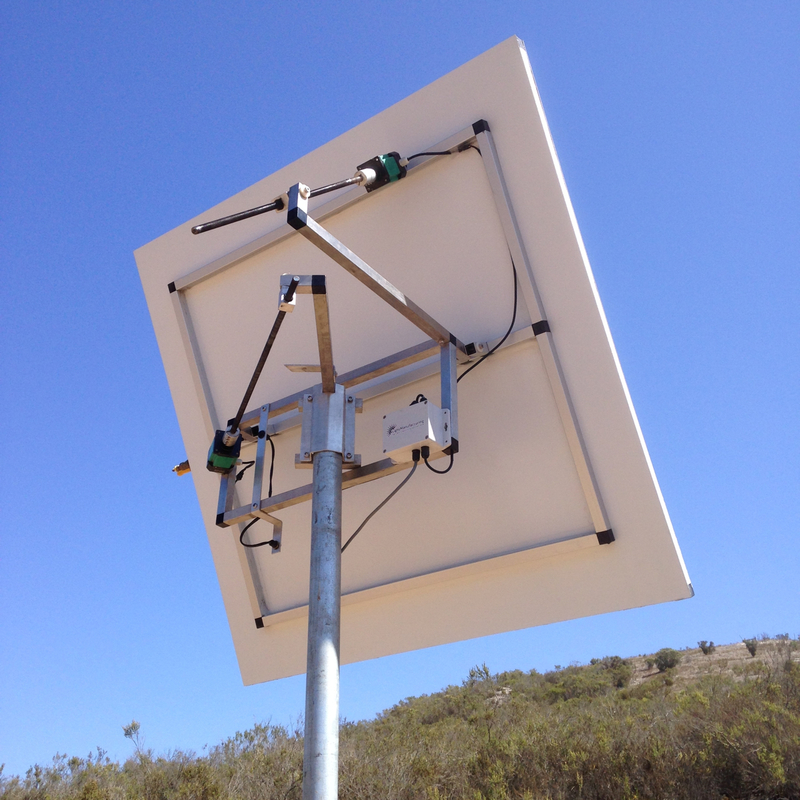 After this initial setup, which is done via USB connection or wirelessly (optional), the heliostat operates totally autonomously. All it needs is 12V DC power – which can be provided by our optional P1 or P2 solar power supplies if you’re installing the heliostat somewhere without available local power. 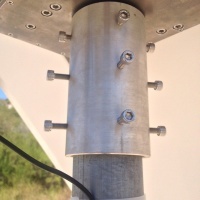 Autonomous heliostat operation is very important if you’re managing multiple units – you don’t want your entire heliostat array taken offline because of a central computer failure, or because of a wiring problem. LightManufacturing H1 heliostats are robust and failure-resistant in part because each one operates autonomously. This is important both for heliostat architectural / green building applications and for heliostat solar thermal manufacturing. What are the Key Advantages of the H1 Heliostat? autonomous operation – no computer connection required except for one-time setup. NEMA-enclosed microprocessor in each heliostat, providing autonomous operation (configuring / programming one heliostat leaves rest of array operational. scalable: systems from 1 to 1000+ heliostats. Unlimited heat / light. ideal heliostat for home / office daylighting and heating. commercial grade construction – all metal, no plastic frame elements. 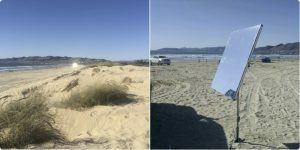 What are the Wind Ratings of the H1 heliostat? Key concepts: heliostat, heliostats, sun tracker, sustainable manufacturing, greenhouse gas emissions, cost savings, fossil fuels, concentrated solar power ( CSP ), process heat, carbon tax, emerging markets, energy poor regions, ROI, efficiency, and more.